All done with Fallout New Vegas DLC now– just finished Honest Hearts. Plus I think the game doesn’t quite manage to avoid the colonialist mindset. The tribes are obvious nods to Native Americans, though it seems only the Dead Horses are supposed to be actual Natives. The ‘good tribes’ have Indian-like names and speak broken English, and mainly attack with melee weapons– out-Westerning the Westerns, as 19th century Native Americans were quite happy to use guns. The tribes seem to be easily manipulated; all three tribes are effectively under the leadership of Caucasians. I don’t think the developers intended to be quite this regressive; but I think ending up with this infantilizing picture is almost inevitable if you start out with the idea of “tribes vs. civilization” and don’t really look beyond pop culture for your research. Anyway, I don’t mean to be terribly negative. The DLCs as a whole are pretty impressive, and I think all of them are more satisfying than the main New Vegas storyline. 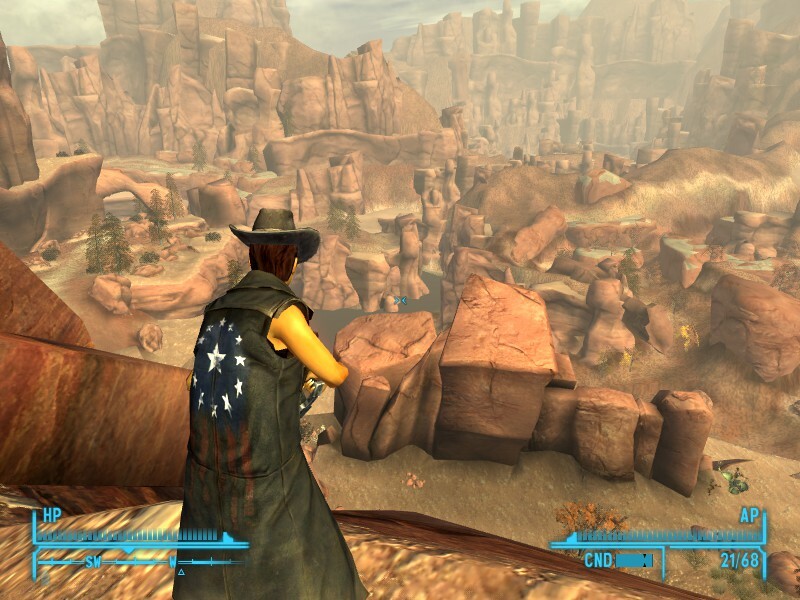 Plus Zion turns out to be a treasure trove of Xander Root and Broc Flower– which we learn early on in FNV are the principal ingredients in Stimpaks, but which are annoyingly rare in the Mojave.